He goes all out to the very end. We finally arrive at the final showdowns with Archer vs. Rider and Saber vs. Berserker. Thankfully, this episode did not disappoint as Rider’s battle with Archer looked exciting. It’s obvious that Rider won’t win considering the sheer strength of his Babylon Gate. Despite this, the final moments were awesome as he fights his way with explosions despite the attacks. After his defeat, it seems that Archer said some respectful things. He also spares Weaver and compliments on his loyalty, which is surprising since we always see him act cynical. On the other hand, the dialogue that Rider says to Weaver is rather interesting. I think he realized that the dream has to end eventually when Archer used the anti-earth sword in his Reality Marble. I understand why he would have Weaver to retell what happened when they were together so other generations could carry on the dream. Despite Rider’s defeat, at least he lives to carry on the tradition while learning a valuable lesson of being a conqueror. Berserker’s true identity is finally known. Meanwhile, Berserker revealing his true identity in front of Saber just surprised everyone, including me. If you recall in the earlier episodes, Rider mentioned that she saved people instead of leading. Now, she confronts one of her old friends, Lancelot whom apparently gone mad for some reason. He will probably reveal more as the battle continues into the next episode. Yes, it’s sad but hopefully his dream will live on into the future. Oh he will be, through Waver. This isn’t so well known since it was only in a, but Waver (aka Lord El Melloi II or “Professor Charisma”) is the one who leads and dismantles the Greater Grail twenty years from Fate/Zero, in any other route but Heaven’s Feel of course (where either Shirou or Illya do this). The Clock Tower has nefarious plans for it and he opposes. Rin Tohsaka helps him. He can apparently change the structure of the Magic Association if he gathers his students who adore him. Two episodes contrasted the fruits of Rider as king and Saber as king in Fate/Zero. Rider inspires dreamers who follow him beyond the grave, beyond time and space (it’s spelled aloud in the novels Waver will join his ranks of servants 😀 Also this was beautiful: In the face of the oath, even separation was meaningless; under the command of Alexander, the bond formed between King and servant was eternal and beyond time.) for the generations to come. Waver is told in CM that will become El Melloi II and be an inspiring mentor in return (Rin’s professor in the Clock Tower). It wasn’t clear in the anime, but it was clearer in the novels. Rider might have been killed, but he got his wish: he found his Oceanus (it was really hard to show how in the anime). Waver had seen it before: it was within him all the time. So these two got a good end as far as Fate/Zero allows. I get what you are saying as its apparent that Rider is a dreamer himself. It’s a different contrast compared to Saber, which he criticized. Still, the anime leaves quite a bit out since one can fit so much. Might go read the translated visual novel once I get the time. Oh he is a dreamer. 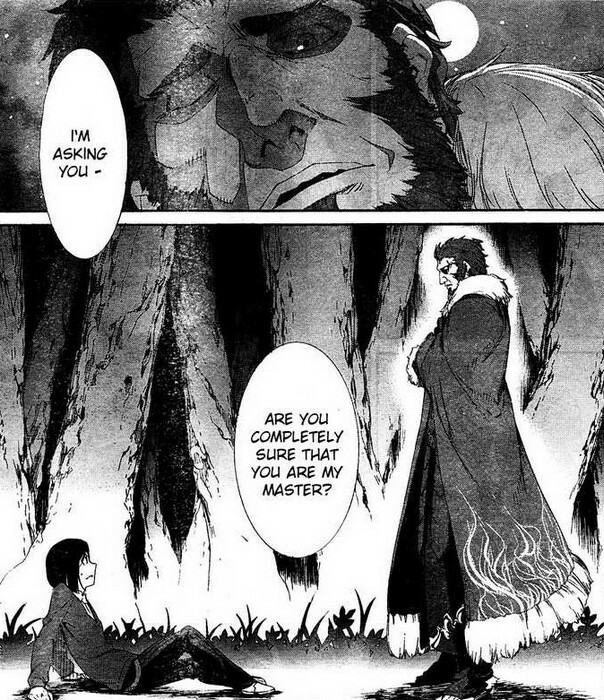 They are alike despite their different approaches (this is lampshaded in the manga adaptation of F/Z, Waver and Rider meeting is parallel to the pose of Shirou an Saber in FSN. Saber in Fate route found her redemption in protecting Shirou to the end. Rider found his in sacrificing it for Waver’s sake). Saber’s issue isn’t that she’s a dreamer, is that her dream brought her down the spirals of despair. It became a nightmare and her personal hell. That hers was a ‘sad’ dream. Even if Rider ‘woke up’. There were no regrets, only hope for more, only looking forward for more. That’s how Gilgamesh admired and respected him (he thought he could crush him: he didn’t). He couldn’t break the conqueror. He invited him to his personal garden.